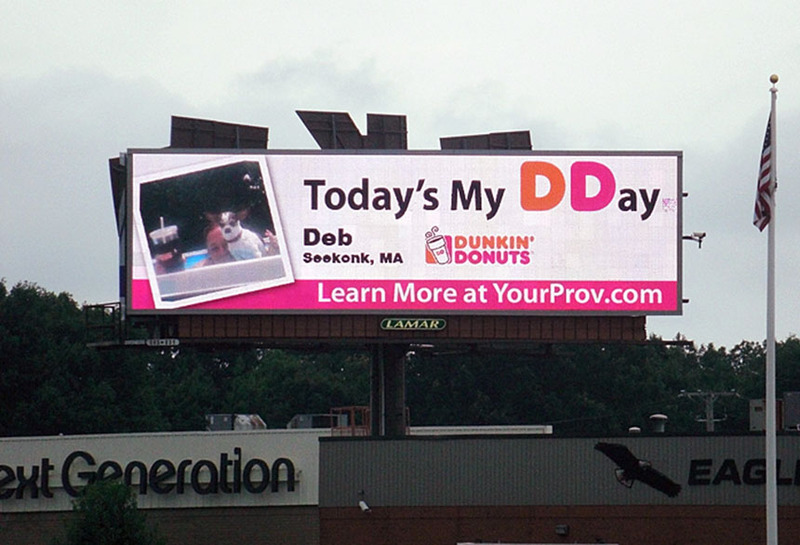 Dunkin Donuts asked customers to post their Instagram photos to Dunkin Donuts DDay Instagram feed for a chance to be on their digital billboard. This brand marketing campaign utilized Lamar digital bulletin capabilities. It was especially successful because it asked for community participation. Digital capabilities made it possible to rotate images that were specific and targeted to their community.